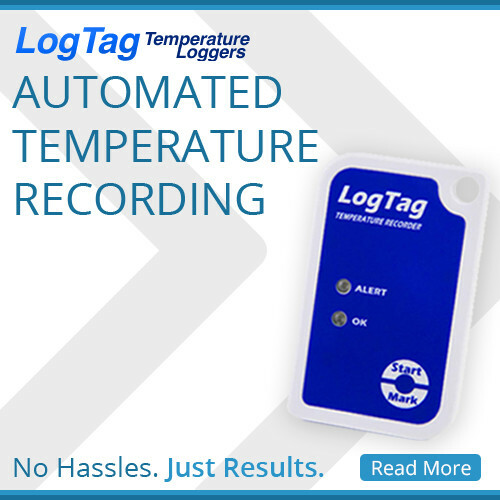 This temperature logger comparison will cover the similarities and key differences between the Logtag Temperature Logger and Thermochron Temperature Loggers. Selecting the best temperature logger is much like selecting the best car – it all comes down what features you really care about. Fundamentally the Logtags and Thermochrons are the same. They both have a programmable sample rate that allows the user to determine how often they record the temperature. The software for each is easy to use and has more features than most users require. The temperature range for the standard models are the same (-30 to 85°C). The big one is that the Thermochron does not have any temperature or alarm indicators. They are perfect for auditing. The Logtag, however, has the options for alarm LEDs or temperature display. Many people want to know that everything is fine or be alerted if there is a problem. The Logtag then is the ideal model. The Logtag also has the external probe option. If you are after high temperatures (70° to 140°C) then the Thermocrons support it, while the Logtag supports down to -80°C. The thermocron has a much longer battery life than Logtags because the Logtag consumes more power with the indicators. The Logtag will last a couple of years which is still great value for money. The thermochron, however, will outlast the computer and chances are your next one as well. The Logtag models have more memory with either 16,000 or 8,000 readings standard. The Thermochron does have up to 8,000 readings but the high resolution modes drop it back to 4,000. The reality is that for most customers, the standard Thermochron with only 2,000 readings is more than sufficient. Thermochrons are much smaller than Logtags. Some people like a smaller unit, others prefer a larger unit. For many customers, the differences aren’t that major. They typically have a model in mind when they contact us and we will leave them with that. Flipping a coin is as valid a way to select as anything. So that’s my brief temperature logger comparison. Over the next couple of weeks I will review each of the units to show their strengths and weaknesses in more detail.